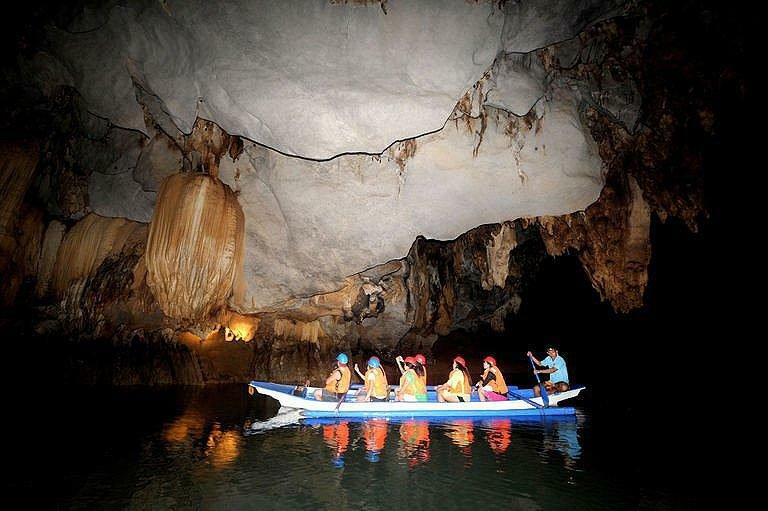 After its Underground River had been named one of the new seven wonders of nature, Palawan again grabbed global attention, this time by making it to a well-known travel website's recommended destinations. Lonely Planet called Palawan the "ultimate archipelago for adventurers" as it ranked the group of islands 8th in a list of top 10 travel regions for 2013. "Palawan incorporates thousands of sparkling, rugged islands and is fringed by 2000km of pristine coastline," the website said. It also noted an increasing number of direct flights to Palawan as regional carriers realize the area's tourism potential. "So far Palawan's natural marvels have only been sampled by plucky backpackers. Not for much longer," Lonely Planet said. "Throw in the mushrooming growth of style-conscious boutique hotels normally found in places like Ko Samui or Bali, and you can feel that Palawan is ready to hit the big-time in 2013," it added. Topping the list was Corsica, France which will host the centenary of the Tour de France next year. It was followed by the Negev, Israel & the Palestinian Territories; Mustang in Nepal; the Yukon in Canada; Chachapoyas and Kuelap in Peru; the Gulf Coast in U.S.; and Carinthia in Austria. Rounding out the list of 10 are Inland Sea in Japan and Campania in Italy. Lonely Planet also listed best travel countries in 2013, topped by Sri Lanka which it said is "emerging as one of the planet's best-value destinations" after its recovery from a tsunami and over two decades of civil war. Others in the list were Montenegro, South Korea, Ecuador, Slovakia, Solomon Islands, Iceland, Turkey, the Dominican Republic and Madagascar. As for cities, San Francisco emerged "best in travel 2013", with Lonely Planet highlighting how it "continues to attract kindred spirits, eagerly embracing all newcomers to the bosom of its cultural mélange." It was joined in the top 10 by Amsterdam, Hyderabad, Londonderry, Beijing, Christchurch, Hobart, Montreal, Addis Ababa and Puerto Iguazú.